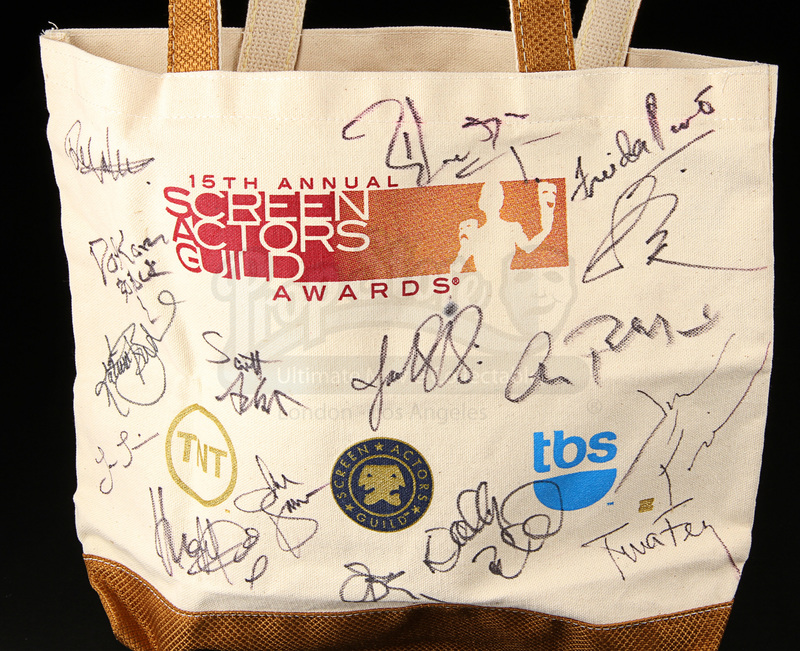 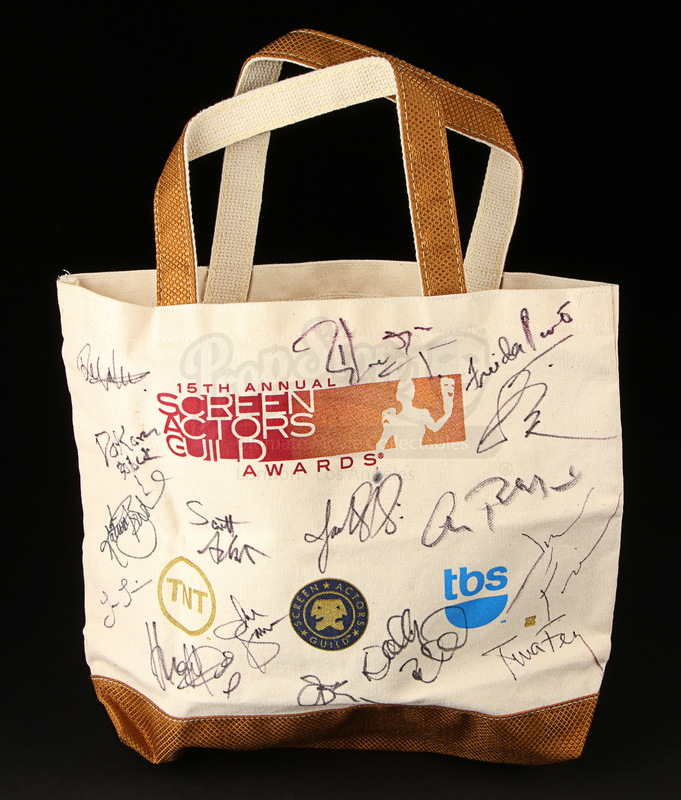 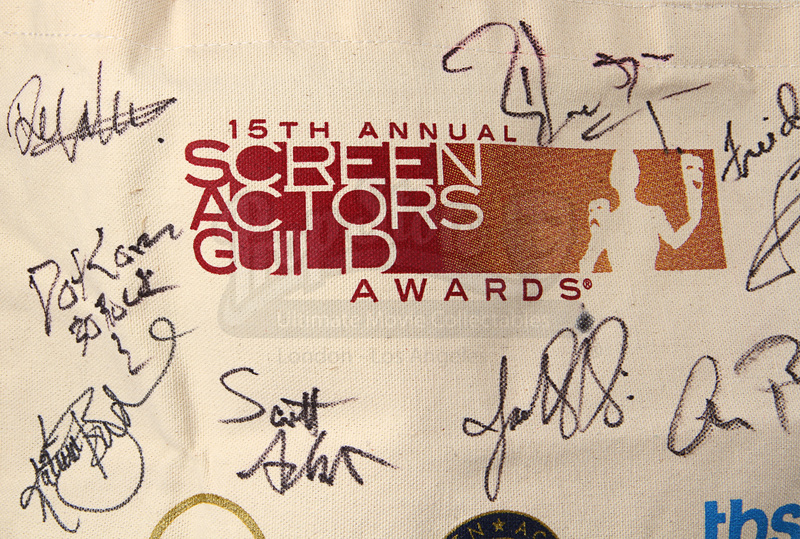 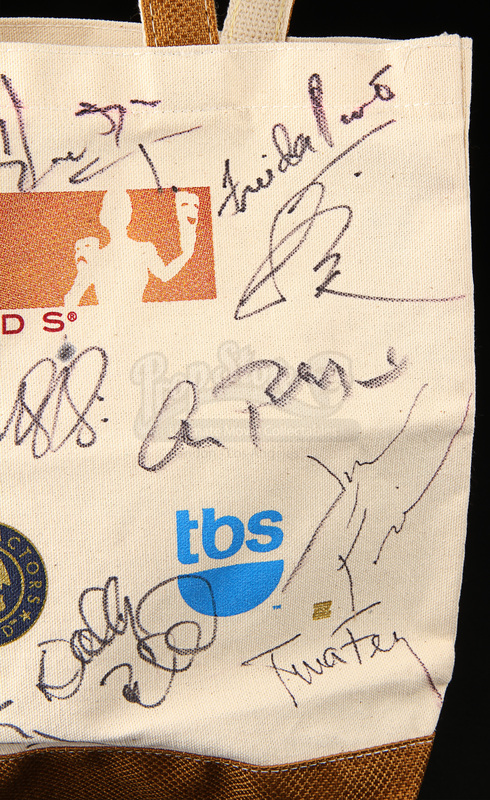 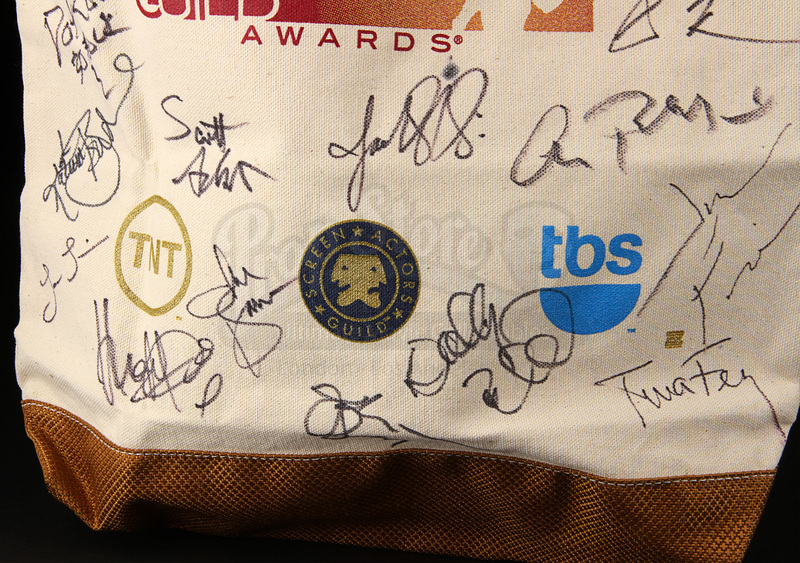 An autographed tote bag from the 15th Annual Screen Actors Guild Awards. Sold by the Screen Actors Guild in a charity auction, the bag is autographed by various award winners from the gala night in 2009, including Tina Fey, Hugh Laurie, Alec Baldwin, Sally Field, Laura Linney and Jon Hamm. 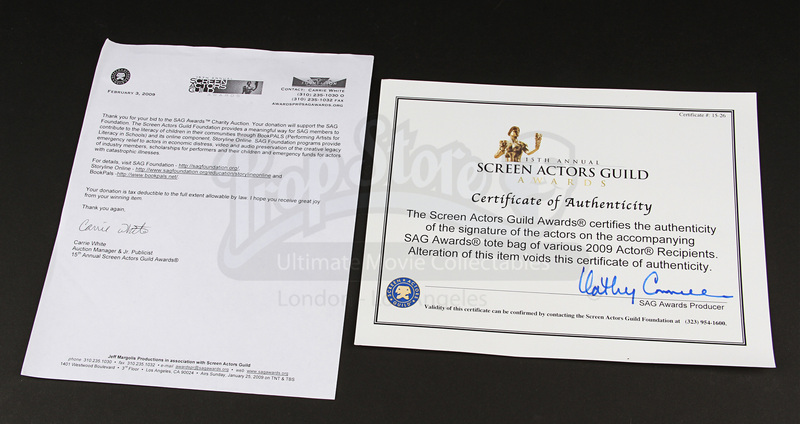 The bag has the logo for the award night and the sponsors along the side and is supplied with a letter and certificate of authenticity. 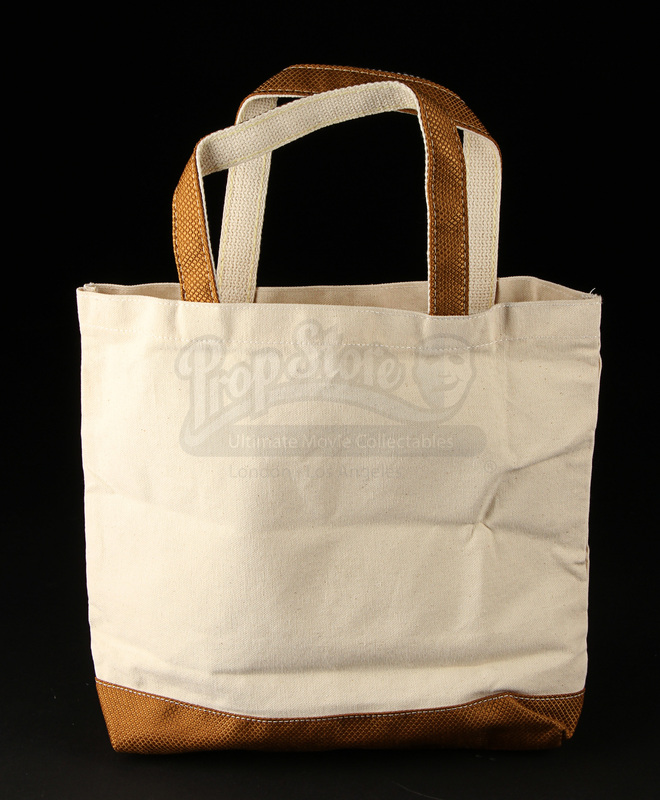 Displaying some minor wear, the bag remains in very good condition.